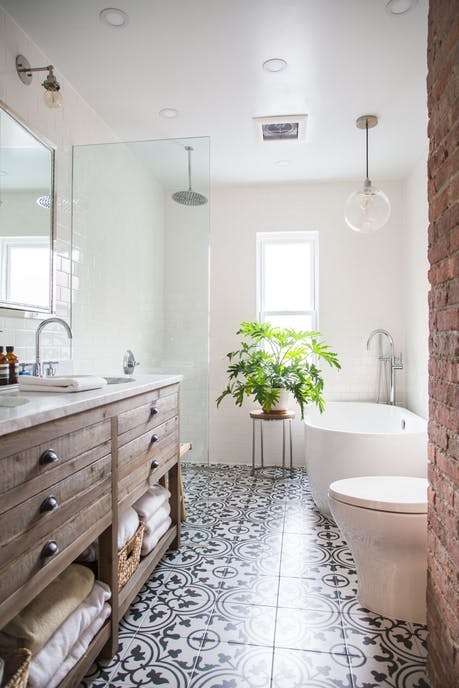 Bathrooms are second only to kitchens in how expensive they are to renovate, so we're not surprised that so many people leave these rooms as they are for years and years. 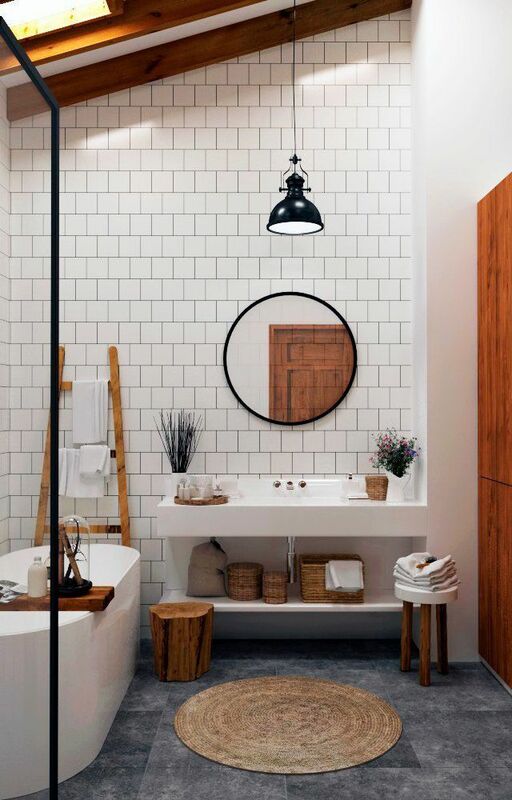 Your original bathroom style might begin to feel out-of-date, but budget reasons, or the fact you're renting may mean there's not all that much you can do to overhaul it. However, there is plenty you can do to update and elevate the space into something that feels a little more luxe. Here are seven of our favourite ways, that won't break the bank. Getting rid of clutter is an obvious suggestion to neaten your space and give it a newer, cleaner, more expensive look.  However you can take it to the next level by taking some time to consider just how you're going to re-home that clutter. Replace your toothbrush holder with a gorgeous, ornate tumbler, store your soap in a dish rather than in its original packaging, and buy a cute little box to keep things like your cotton buds in. It will make all the difference. Bathroom mats can look scruffy fast, and dirty, dusty or tired mats will totally take away from the look of your bathroom. If yours is past its peak, you'll be surprised the lift the room will get from a new one. Take it one step further if your budget (and style) will allow, and opt for a Turkish or Persian replacement rug. Not only are they super soft, they are built to fade beautifully, so they'll only get better with age. Plus, they can quickly add personality and colour to a room as necessary. Chrome finishes on your taps and accessories is all well and good, but mixing in some other metals can really elevate the room, without too much expense. 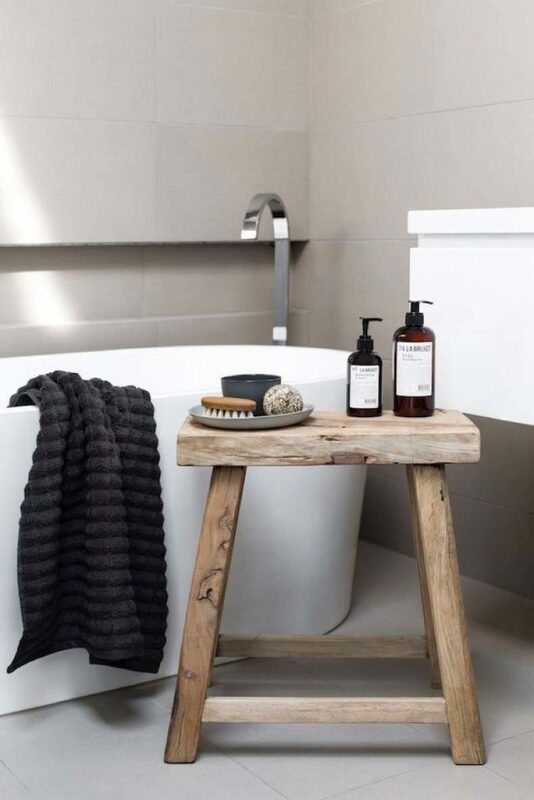 While gold is always a luxe favourite, opting for brass finishings can bring a modern edge to the bathroom. 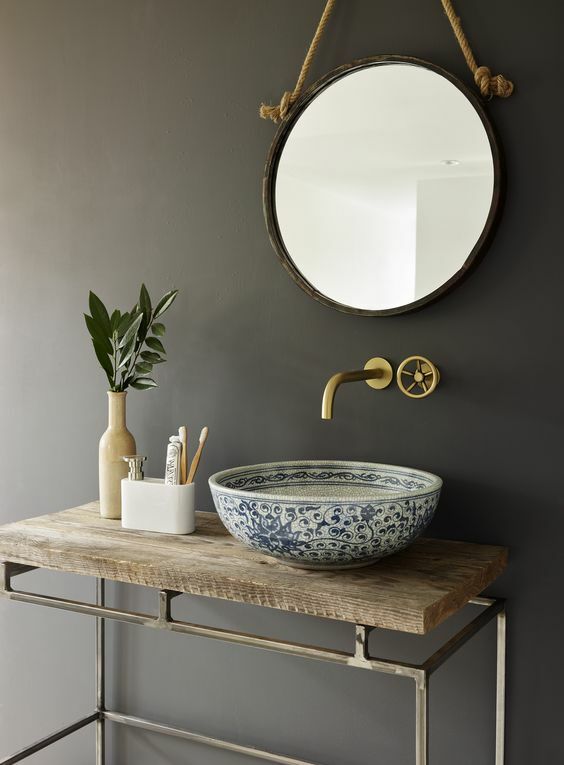 If your budget won't stretch to replacing all your hardware, even bringing in some brass accent pieces, like a brass-edged mirror or even something as simple as some brass accessories, like a soap dish, can take the room up a notch. Many high-end bathrooms in hotels and the like are equipped with some sort of seating, whether it's a simple stool, or a gorgeous armchair. It adds an expensive feel to the room, and also feels a little bit grand. Perfect if that luxury vibe is what you're going for. It's amazing how many bathrooms just have the contractor-grade mirrors from the bathroom aisle at the local hardware shop. 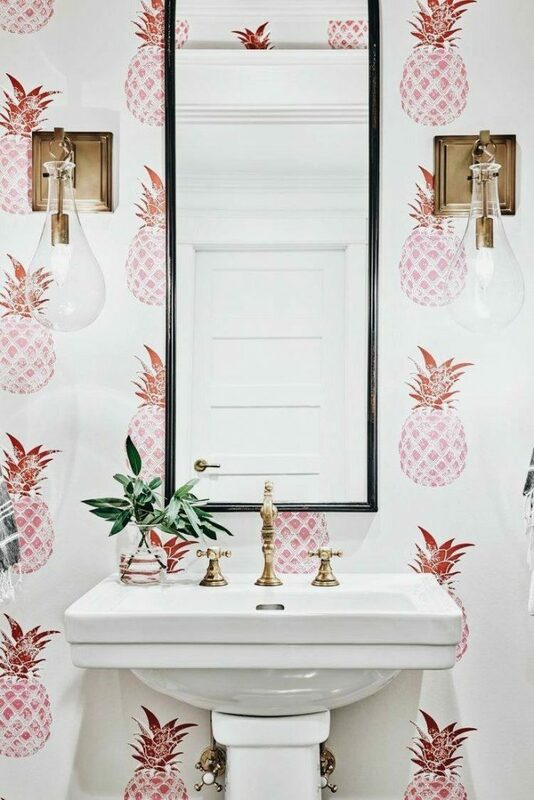 There's no such thing as a bathroom mirror - you simply have to choose a mirror you like and if it fits with the style of the bathroom, you're golden. 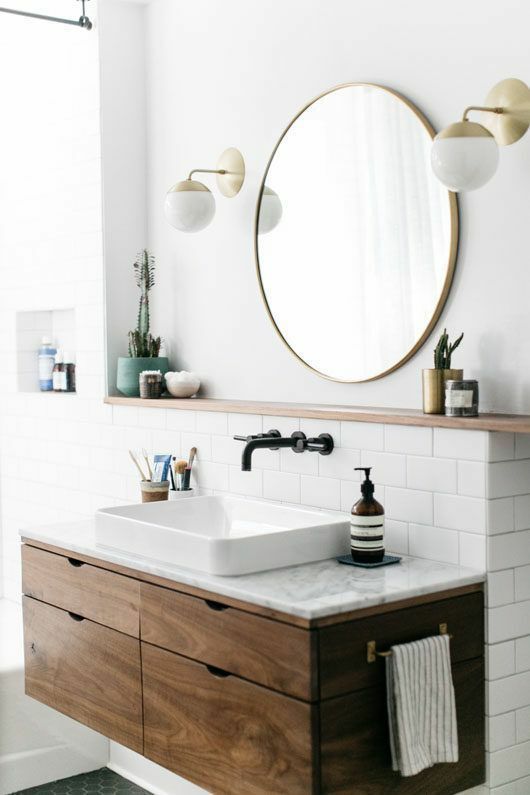 Granted, medicine-cabinet style mirrors do offer you the benefit of extra storage which can be super handy, but if you get a little clever with your storage solutions, the mirror of your dreams can make a big difference in the space. We're back to clutter again, but this takes things slightly further. While upping your storage game is one thing, actually having a dedicated home for literally everything you'll keep in the room is quite another. However, it makes a difference. Install a small hand-towel ring by the sink where it's needed so it's not left hanging on the side of the bath. Pop a lovely coat hook on the back of the bathroom door for your dressing gown, and have somewhere to hang your bath towels. The average guest won't notice that these additions are even there but they would certainly notice if they weren't, trust us. We're forever harping on about how important lighting is to a room, and today is no different. If you're going to invest in anything in your bathroom to really make an impact on how luxe the room feels, pick your lighting. 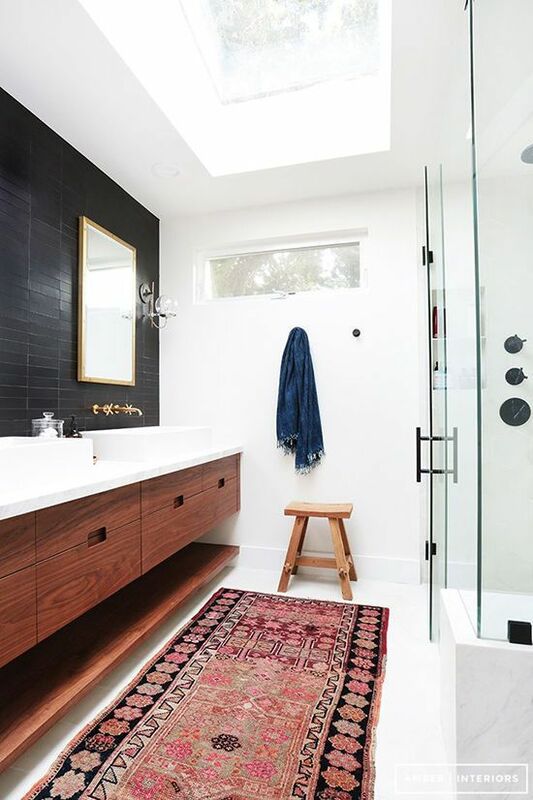 Upgrade your basic overhead lighting to something a little more special, perfect for use in the bathroom, and you'll see the difference immediately.